The Bryan Brothers put in another near-flawless performance to defeat the unseeded pair of Damir Dzumhur and Franko Skugor in straight sets. 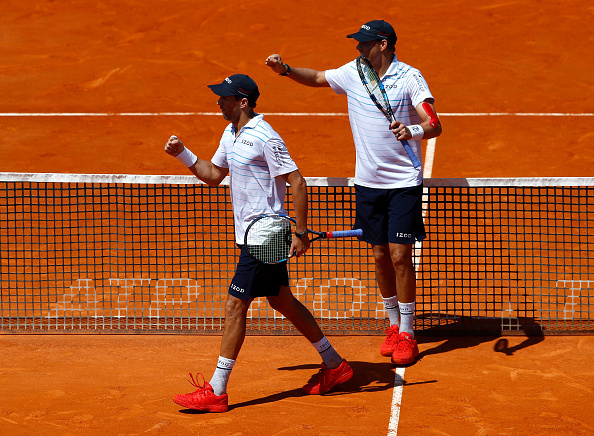 Bob and Mike Bryan continued on their way to a sixth Mutua Madrid Open title by defeating the unseeded pair of Damir Dzumhur and Franko Skugor 6-4, 6-3 in one hour five minutes to advance into the quarterfinals. 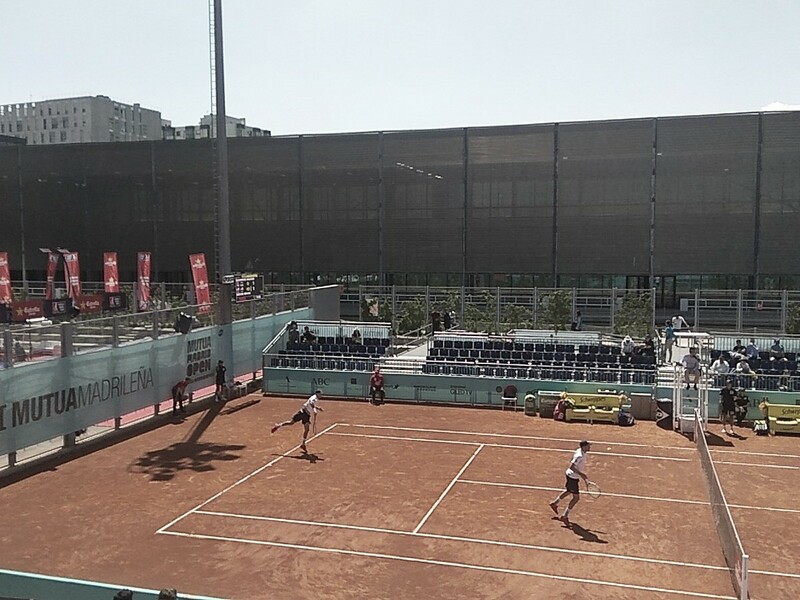 They'll face fifth seeds Jamie Murray and Bruno Soares. The Americans got the contest underway with a quick hold of serve for 1-0. In the second game, they started to show just why they are the most successful doubles team ever. At 15-30, Dzumhur flashed a forehand wide to fall behind three break points. The Bosnian made up for the error with two excellent serves to send the game to deuce. Once again, he showed perfect serving to win the game and survive for 1-1. With no team settled on serve, the unseeded pair then fought from a love-40 deficit to send the game to a deciding break point. The 25-year-old who was seeing much of the action forced the error to break the five-time champions. But the Americans immediately fired back with an overhead to grab two break back points. Skugor then dealt with the onslaught of forehands to set up the 25-year-old who put away the overhead. However, the Bryans broke in the next point for 2-2, once again firing consecutive forehands to the Croatian who this time crumbled. The 40-year-old consolidated to go ahead at 3-2. The two pairs then got comfortable on serve, holding the next four games for 5-4. The Bryans continued to show tremendous defense and earned two break/setpoints at 30-40. They missed their first chance but broke to seal the set 6-4. The second set began the same way as the first, with the 16-time Grand Slam champions holding the opening game for 1-0. The American twins started to show their class and experience, forcing the errors and giving their inexperienced team the run around to earn three break points early on. 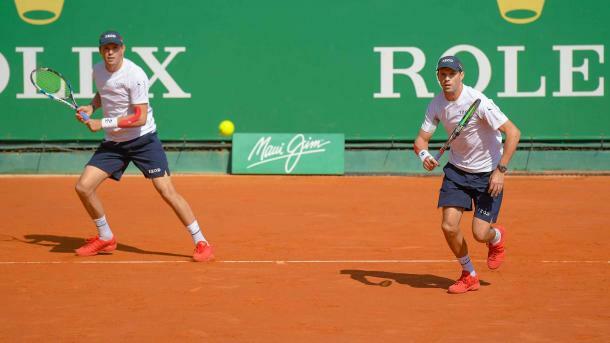 Just like they have done all their careers, the Bryans turned defense into attack with a tremendous forehand winner to break Dzumhur and Skugor for 2-0. The Bosnian-Croatian pair didn't lie down and even sent the third game to a deciding deuce point. But the door was quickly slammed shut as the Bryan Brothers consolidated for a 3-0 lead. The 25-year-old Bosnian stopped the run of five games lost and held serve for the first time this set to make it 3-1. Same as the first set, both teams got somewhat comfortable on serve as the next four games were held with the Americans serving at 5-3. With just over half an hour of this second set gone, the Americans picked up three match points with an unreturnable first serve. An unforced error from the 25-year-old Bosnian sealed the victory for the Bryan Brothers who advanced to the quarterfinals with a consecutive straight sets win.